Detained Iranian opposition leader Mir Hossein Mousavi, in a rare meeting with family members, has expressed his concern about the "subsistence" of the Iranian people. 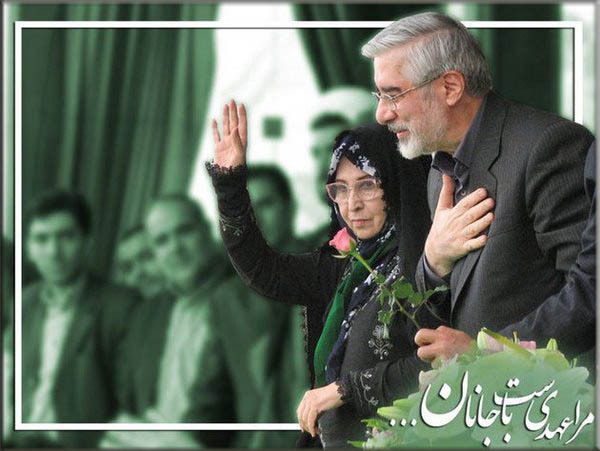 The Kaleme opposition website reported that Mousavi and his wife, Zahra Rahnavard, were allowed a meeting with a number of relatives, during which the opposition leader expressed concern about the people's livelihood in view of the country's economic situation as well as about the "situation of political prisoners." Mir Hossein Mousavi and Zahra Rahnavard have been held under house arrest by the Islamic Republic authorities for 20 months. Mehdi Karroubi, another Iranian opposition leader and challenger of the 2009 presidential elections, has also been under house arrest during this time. The opposition leaders have been completely cut off from the outside world and are only allowed infrequent visits with their family. Mousavi and Karroubi were put under house arrest with their wives when they rallied people in February of 2011 to join a march in support of the Arab uprisings in Egypt and Tunisia. Mehdi Karroubi's wife was released from house arrest and he is now being held alone in an apartment in the constant presence of security forces. Mir Hsosein Mousavi and Zahra Rahnavard are also being held under house arrest in their home under constant supervision of security officers.